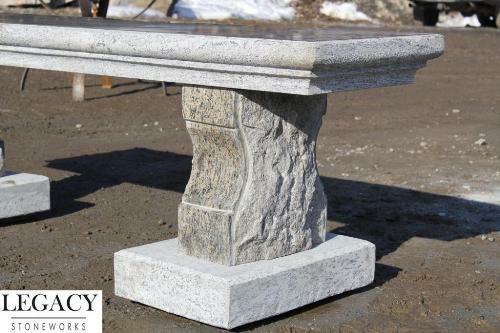 Legacy Stoneworks creates custom granite benches. 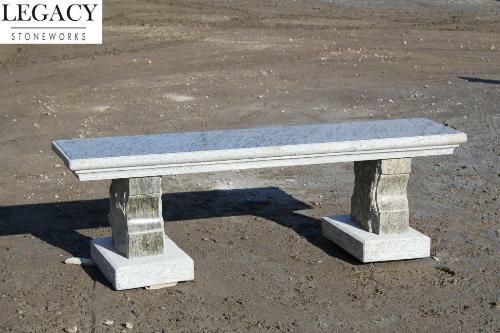 Our stone benches include the "Estate" bench and the rustic "Quarry" benches. Here we share the Estate Bench. The Estate Bench features a 6' long polished bench seat surface and two legs with supporting footings. The seat has a custom beveled edge which is honed finished. The legs are hand carved with precision polished front and back faces and rock faced sides with an attractive draft margin boarder highlighting the two finishes. The footings can either be raised above grade or sunken into the ground to provide ultimate stability for the bench legs. 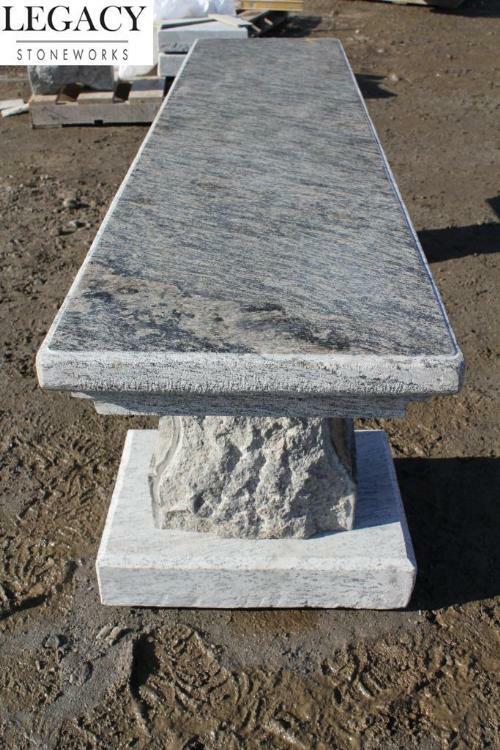 These handmade granite stone benches are great for the outdoors. They can sit poolside, lakeside or next to your dock where you put your boat for the summertime. They are the perfect resting place for parents to sit when watching their kids play in the front yard or riding their bikes in the driveway. Contact us today if you are interested in viewing more benches or to place an order.